You can have aquatic animals other than fish for aquaponics. As aquaculture is one part of aquaponics and it just not includes only fish. This can include shrimp cultivating, fish cultivating, oyster cultivating and Algaculture like kelp cultivating. So can other aquaculture techniques and aquatic animals can be used in aquaponics? Fish is an important component in aquaponics cycle. 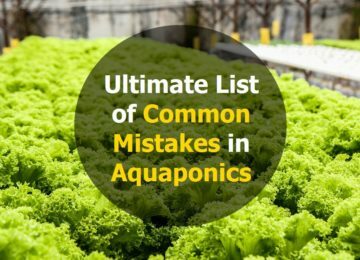 What if you wanted all of the benefits of aquaponics but don’t want to eat fish to set up a backyard aquaponics system and none of the complexities of rearing fish as well? Or what if you can only grow fish during a particular season? What do you do to keep your planes going during the off-season? Anyone who has operated their own aquaponic garden knows that you need waste to grow food. Well! aquatic creatures other than fish also make waste. Turtle does make a lot of waste! Here are the alternatives to Fish in aquaponics. More interesting and varied diet. They have got more personality than fish. Isn’t it? Biggest concern keeping turtles in aquaponics is Salmonella. It is not as common as most people think although many animals, even dogs, can carry it. The reason turtles carry salmonella risk is usually due to poor care. Also, nobody would own turtles, if the risk of salmonella with them was that worth concerning. 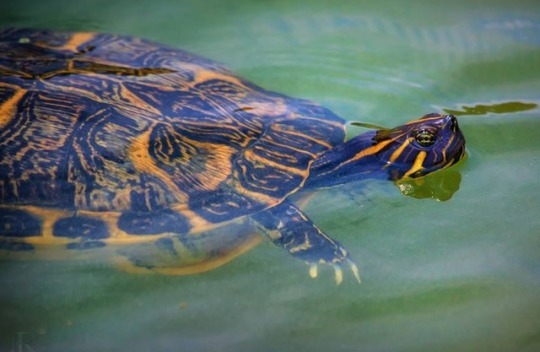 Know more about the topic here Using Turtle in Aquaponics: Good or Bad? 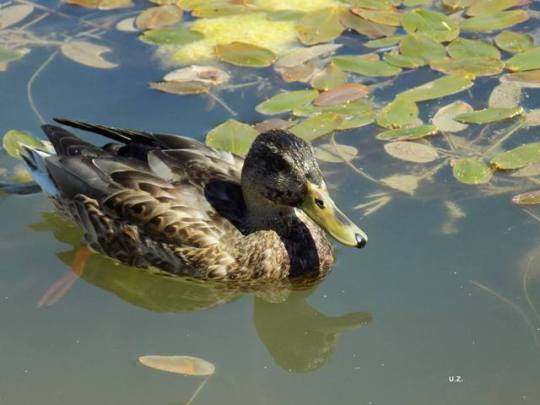 Ducks can be a great alternative and produce a large amount of waste for growing veggies in Aquaponics. Snail & Slug control: These web-footed omnivores tirelessly hunt and consume the slugs, snails and a wide array of insects and grubs, including (but not limited to) Japanese beetle larvae, mosquito pupae, grasshoppers, and potato beetles. They’re generally good friends to have around. Check this funny video out. Using shrimps in aquaponics, you can grow plants and raise oceanic creatures by giving them the harmonious environment in a recycling loop. Shrimp is a high-quality tasty food which is considered healthy to be consumed. They can eat algae, larvae, plankton. You can keep them in your current setup by making a partition between fish and them. They will control algae problem in your tank. As reported, they produce little waste. So you have to watch out if your plants are getting enough nutrients. 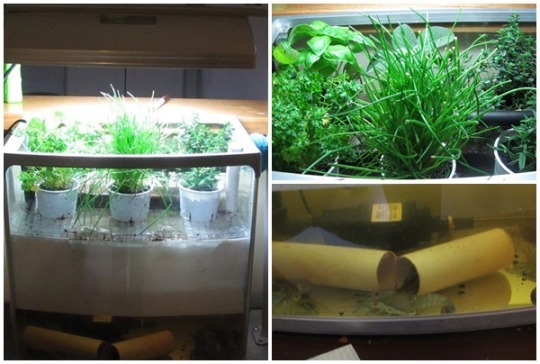 Best thing is to integrate shrimps container with your current aquaponics system. The shrimp do not survive in water temperatures above 95 or under 65 degrees farenhite. check this post if you want to start a home-based shrimp harvesting business. Yabbies are so low on the food chain, it makes them very easy to look after and stock in your backyard aquaponics. 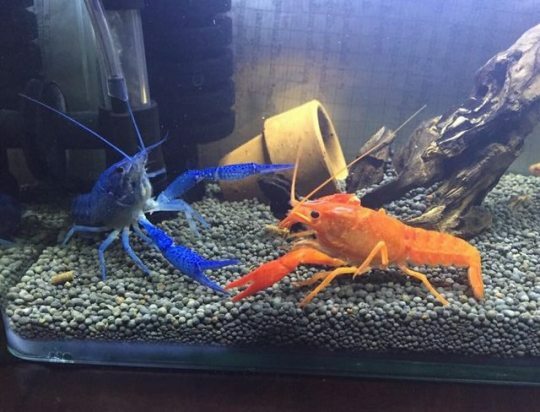 Crayfish including yabbies can be easily grown at low densities and will make an excellent, practical and inexpensive addition to your aquaponics system. They produce fascinating colors in a clean system and can be sold at great ornamental prices at your local aquariums shop. 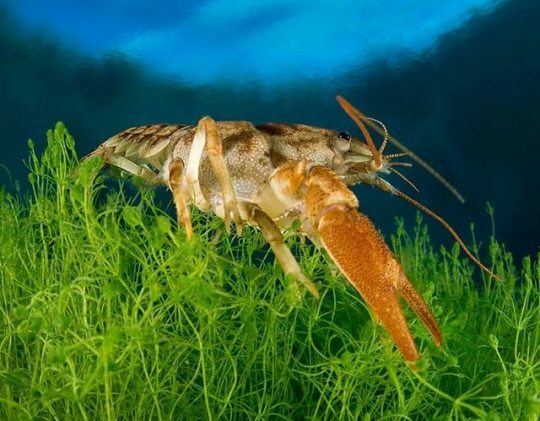 It costs almost nothing to have the crayfish in your aquaponic system. Instead, selling them other enthusiasts help cover some of the costs of running the entire system. Although, they do not have great value as food harvests. They contribute well to clean the system by breaking down the wasted feed and poop from the fish. Having worms to populate in a mature flood & drain Aquaponics systems is considered a great practice. They help to break down and mineralize the solids in the grow beds. With vermiponics, you substitute worms as an ammonia source instead of the fish in the fish tank. The worms serve the same function of decomposing the solid material. But their food source is not fish poop in vermiponics. Instead, worms are fed finely chopped vegetable scraps or rabbit manure and kept into the beds instead of putting them into the water. So what are the advantages of vermiponics over aquaponics? Worms are hardier than fish and the risk of catastrophic failure is much less. Worms survive a system failure much longer than fish do. 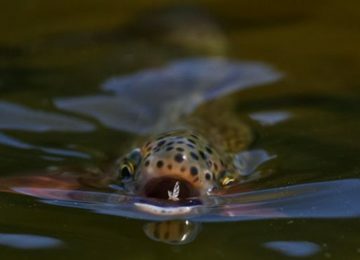 Worms access the oxygen without much hassle and equipment that fish usually need. Lesser expensive (in terms of energy costs) to run a vermiponics than an aquaponics system. The feed is cheaper for worms than the fish. Worms thrive in a much broader environmental range [temperature, pH] than fish do. Worms can thrive on a much wider range of feedstuffs; most of which is the so-called low-value waste that worms recycle. To sum up, when it comes to growing plants symbiotically, vermiponics is cheaper, more efficient and is more sustainable than aquaponics. 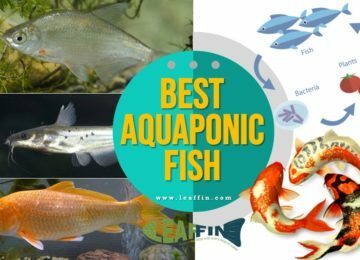 What are the Best Fish Species to Use in Aquaponics? You can also use Axolotls. Thank you for the important information given, I really appreciate this. I’m a student and I would love to practice the aquaponics system of farming what advice can you give me?